Pets Euro Travel Service – provides a pet travel scheme for dog and cat transport services from the UK to Europe. Can collect your pets from anywhere in the UK. Eu pet passports can be arranged. Laws of pet entry into the Uk have changed for the better with only a blood test required instead of the original 6 month quarantine. 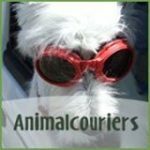 Animal Transportation to the Uk has never been easier. For more details visit website or call number below.